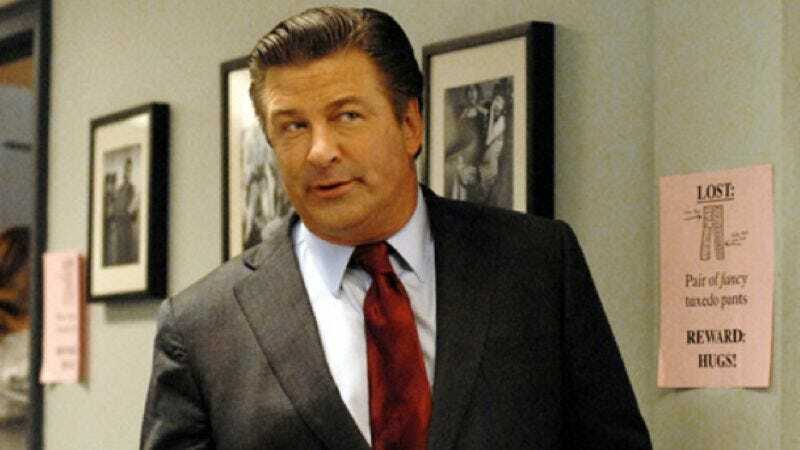 One more NBC revelation from today’s TCA presentation, which Todd missed out on while “getting some air” over Harry Connick Jr.’s Law And Order guest arc: Alec Baldwin has reportedly “quietly re-upped” his contract with the network, guaranteeing that he will continue on for another season of 30 Rock. Of course, that’s all contingent on 30 Rock even getting a seventh season—and as we spelled out in excruciating detail moments ago, NBC doesn’t seem to know anything for sure anymore. But provided 30 Rock doesn’t completely tank in its new time slot (and continues to spawn automatic Emmy nominations for Baldwin), it seems a given that Baldwin will be on NBC through at least 2013. So it seems Alec Baldwin has actually backed out of backing out of something—a Double Baldwin! These are rare.